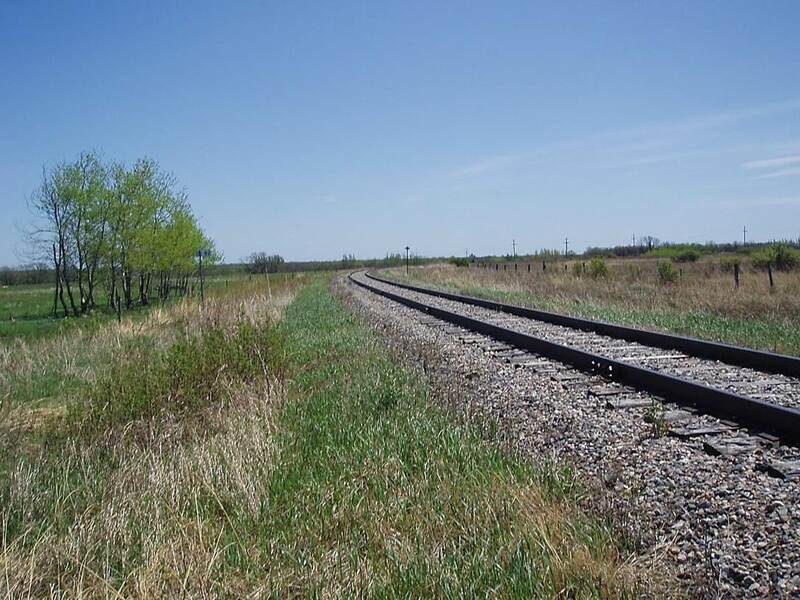 2012/05, BTRC/former CPR mile 85 looking back E. one mile E. of Thornhill, MB. (Click on photo for enlargement) © Text and Photos exclusive copyright of N. Froese, Author. 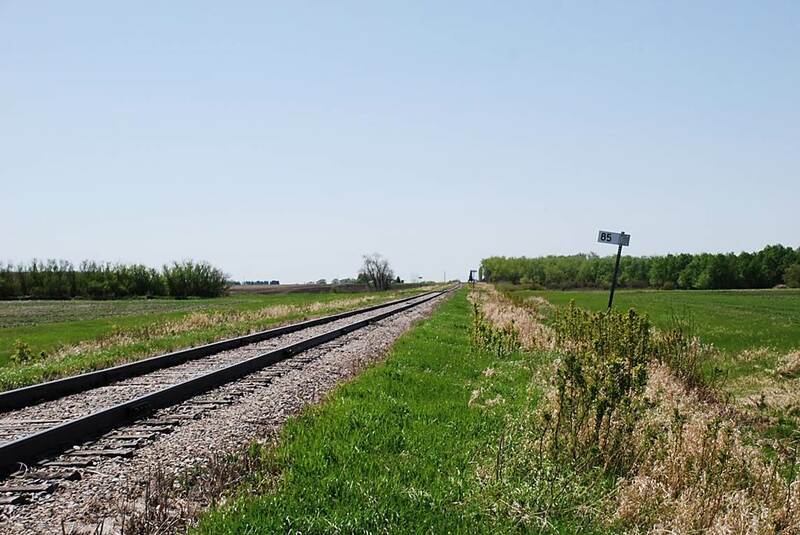 2012/05, BTRC/former CPR mile 85 looking W., one mile E. of Thornhill, MB. (Click on photo for enlargement) © Text and Photos exclusive copyright of N. Froese, Author. This entry was posted in Uncategorized on 2015-01-21 by nfroese. 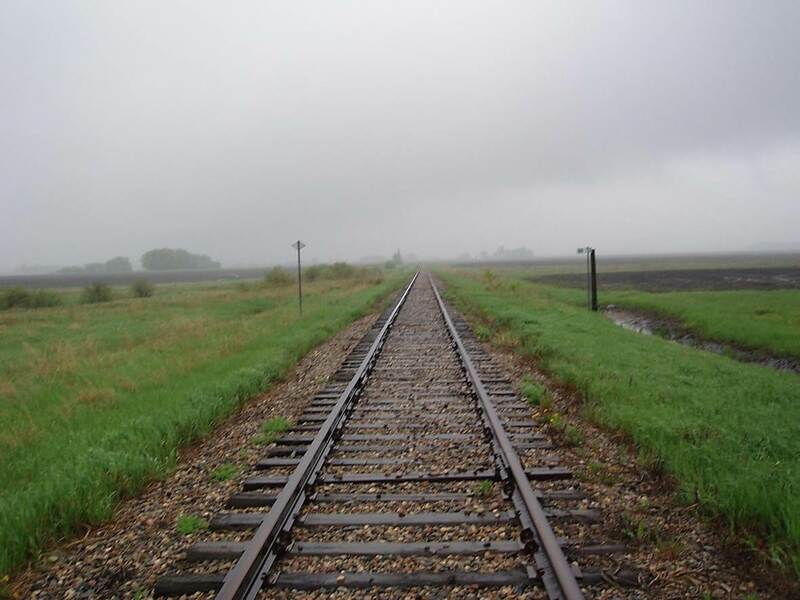 2011/05, Mile 84, BTRC line (former CPR), looking W. in the rain towards Thornhill. (Click on photo for enlargement) © Text and Photos exclusive copyright of N. Froese, Author. This entry was posted in Uncategorized on 2015-01-14 by nfroese. 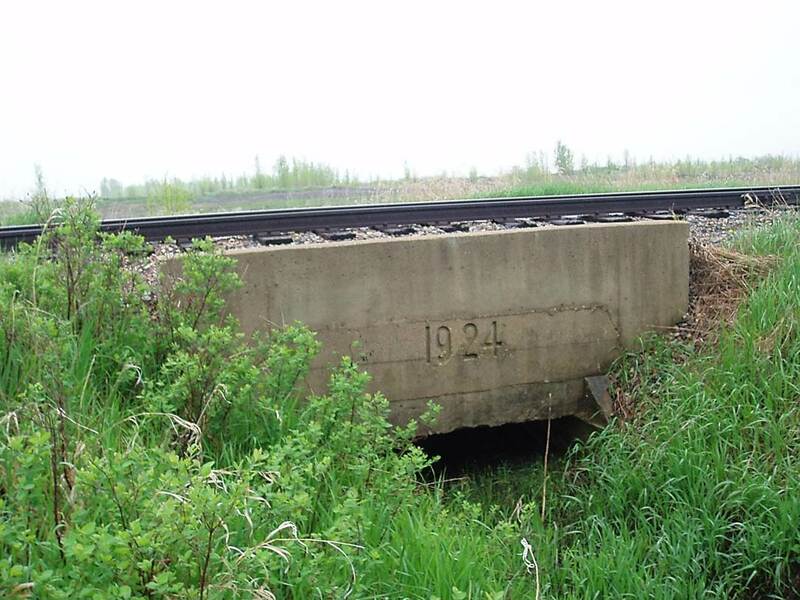 2011/05, Mile 83, Concrete bridge (1924). Notice added concrete abutment for additional rail bed height done at a later date. (Click on photo for enlargement) Photo – N.F. © Text and Photos exclusive copyright of N. Froese, Author. 2011/05. 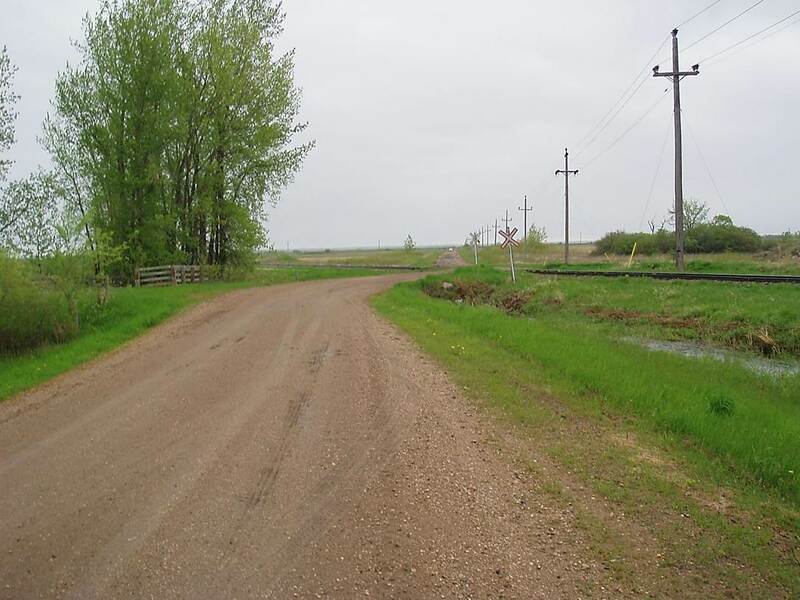 Mile 82 BTRC (formerly CPR) crossing, looking S. towards Hwy. No. 3. Elevation from Morden to mile 82, approx. 100 ft. Information: BTRC files. (Click on photo for enlargement) Photo – N.F. © Text and Photos exclusive copyright of N. Froese, Author. This entry was posted in Uncategorized on 2015-01-11 by nfroese. 2012/05, BTRC/former CPR mile 82. View – looking back S.E. 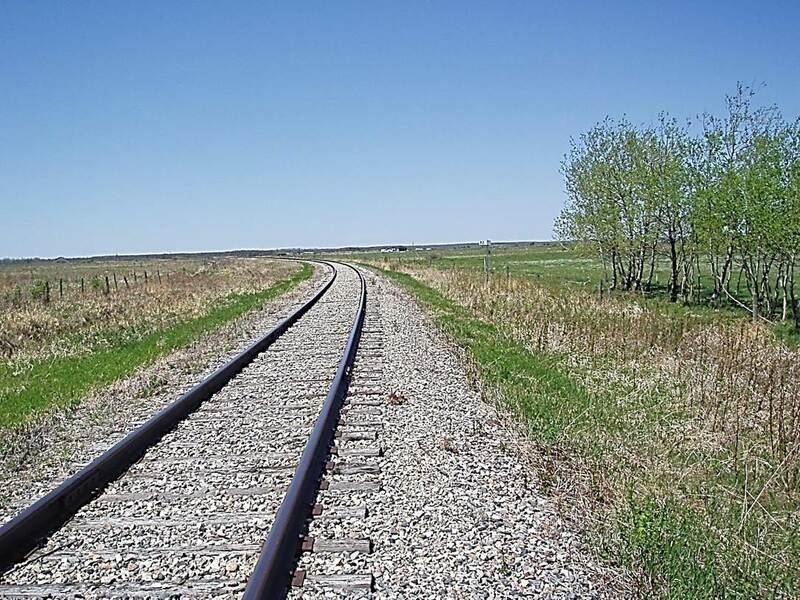 with track in the foreground turning towards the W. and the rail climbing up over the ancient Lake Agassiz escarpment – N.E. 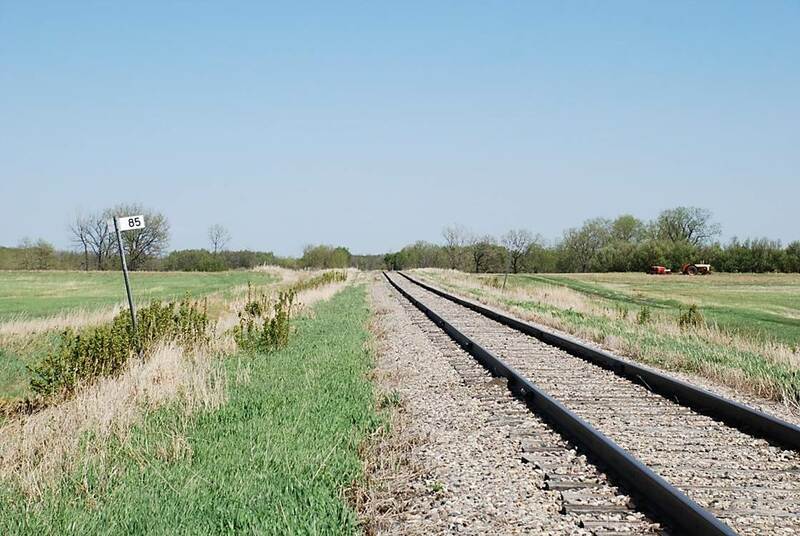 of Morden, MB. (Click on photo for enlargement) Photo – N.F. © Text and Photos exclusive copyright of N. Froese, Author. This entry was posted in Uncategorized on 2015-01-10 by nfroese. Photo – N.F. © Text and Photos exclusive copyright of N. Froese, Author. This entry was posted in Uncategorized on 2015-01-08 by nfroese.